The annual gathering will be at Clermont Farm now owned by the Commonwealth of Virginia. Here is the link to the farm: http://www.clermontfarm.org/ Their facebook page has good pictures. Last year at Shelburne Farm I watched dimensional lumber come out of a log with bark, all by hand. I saw a Georgian cabinet built, and windows become like new. The pictures are from that gathering. which, to quote Owen Biddle in 1805 "every Carpenter ought to be acquainted with". The sessions will be hands-on. I will have compasses, pencils, erasers and straight edges. And drawings. I will be helping whoever shows up see the geometry which governed framing and design for churches, mansions, houses, barns. As we uncover the geometry participants will see how design and structure come from the compass. We will decipher brick houses in Virginia, wood frame churches in New England, houses built from 1680 to 1840. 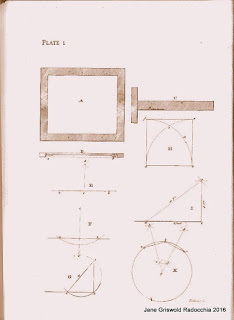 For people who want to see how much they already know I will have the plates from the first pages of the pattern books which present "such problems in Geometry, as are absolutely necessary to the well understanding of the subject." 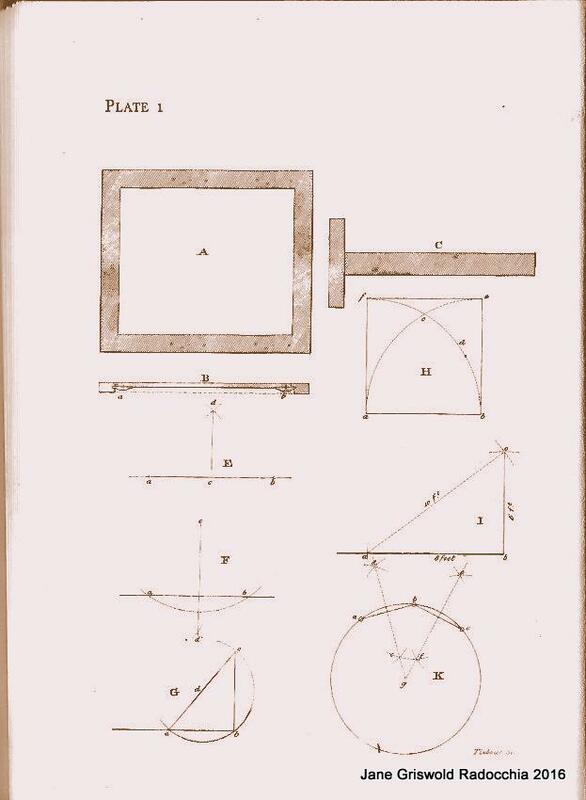 (Asher Benjamin, 1827) Will they master the problems with a compass and a straight edge? The pattern books of Asher Benjamin, Owen Biddle, Peter Nicholson, Minard Lefever, will be available along with posters and handouts on Robert Adam and William Buckland. I demonstrate twice. There will be plenty of opportuity for me to watch and learn from the other presenters, to explore the farm and its buildings, and talk with people. I know I will have a great time.